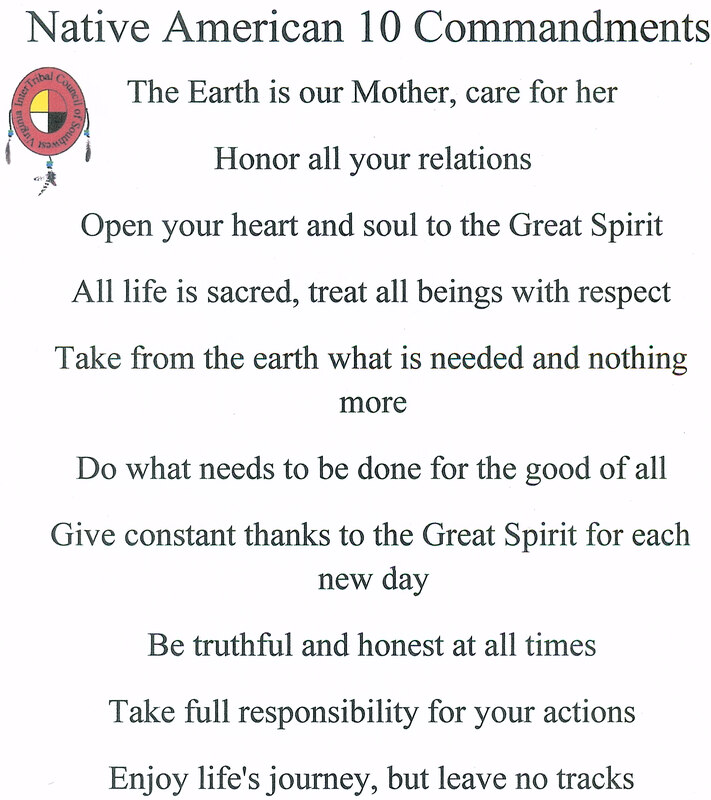 SWVA Inter Tribal Community is a spiritually based community walking in the native way of respect for all life. The Earth is our Mother, we care for her. We honor all our relations. We open our heart and soul to the Great Spirit. All life is sacred and we treat all beings with respect. We take from the earth what is needed and nothing more. We do what needs to be done for the good of all. We give constant thanks to the Great Spirit for each new day. We are truthful and honest at all times. We take full responsibility for our actions. We enjoy life’s journey, but leave no tracks. Among all tribes there is a strong sense that behind all individual spirits and personifications of the divine, there is a single creative life-force, sometimes called ‘the Great Mystery’ or ‘Great Spirit’, etc… We believe this Absolute Divinity expresses itself throughout the universe, in every human, animal, tree and grain of sand. And we respect your right to call the Creator by whatever name you choose and to follow the path of religion of your choice. The native path is not a religion, it is a way of life. Tribal governments use a variety of methods to determine their membership, some with blood quantum requirements, others without. The concept of blood quantum was not widely applied until the Indian Reorganization Act of 1934 when the government used it to establish which individuals could be recognized as Native American. This community has decided not to use the blood quantum requirements for membership within the community. We believe being a member of a Native American community is much more than a piece of paper with a blood degree on it – it’s a state of heart, mind and spirit and we recognize all who follow our beliefs and agree to live in cooperation with each other and all life. We do require interactive participation from all members because community is all about being together. We are inter-tribal so all natives, regardless of heritage, are welcome. Our Chief is Lakota, so all members will be participating and learning Lakota ways. If you are of another tribe, we encourage you to share your ways and knowledge with the community. 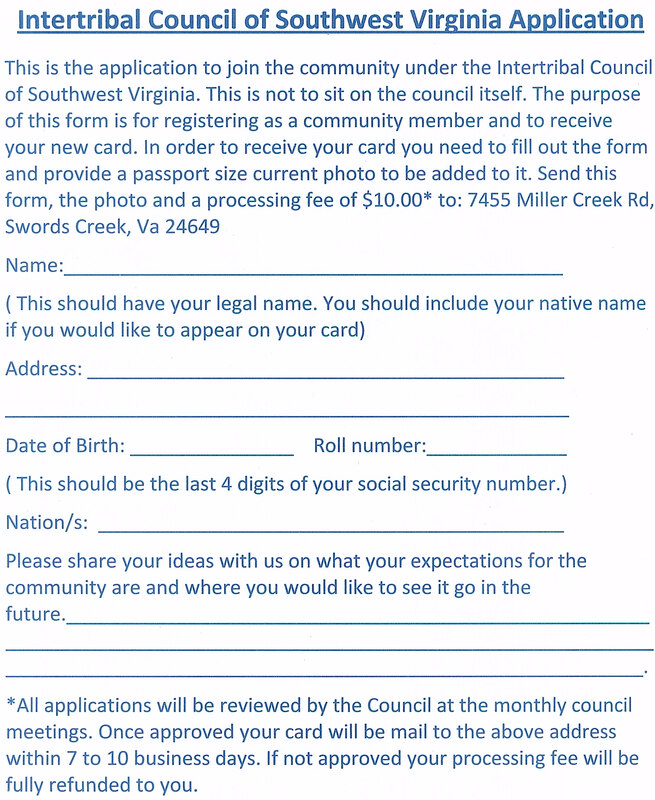 We keep community rolls with the member’s name (English and Native), their age, contact information, and native heritage. As with all information on our members, this information is keep in the strictest confidence and we also urge all members to be responsible with each other’s personal information. Please do not share personal information of another without their permission.